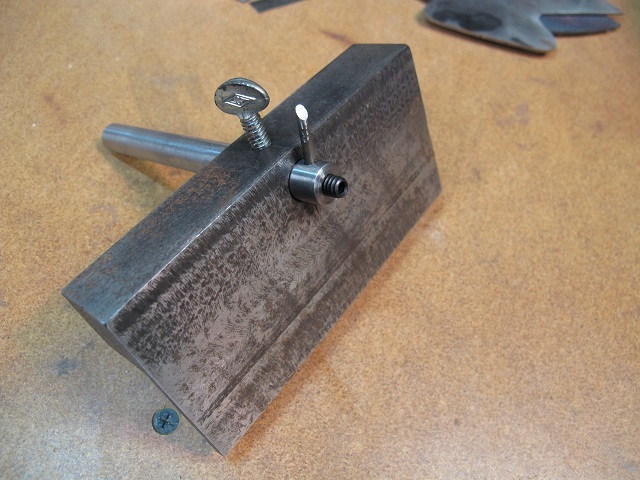 I designed and built this tool to scribe even lines onto the edge of a blade blank as guides when grinding in the primary bevels on the blade. It is large enough to lay a blank on clamps into my bench vise. 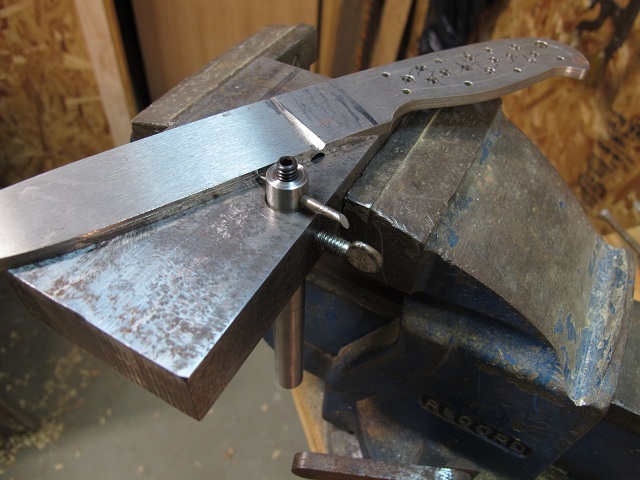 The scribe (a piece of tungsten carbide ground to a point) can be raised and lowered to adjust for different blade thicknesses.